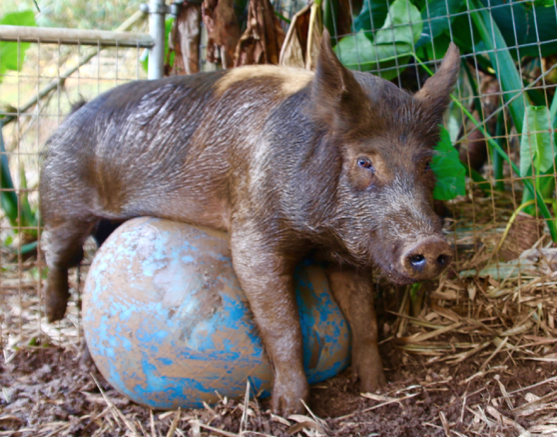 Berney was a orphan feral piglet who wandered onto the Sanctuary and asked to join the family. George was fed massive amounts of restaurant garbage and became so obese that rolls of fat covered his eyes, rendering him blind. Charlotte suffered a broken leg when hunters attempted to snare her. Your sustaining support helps us provide food, shelter, and veterinary care for rescued animals; and humane education to the community. 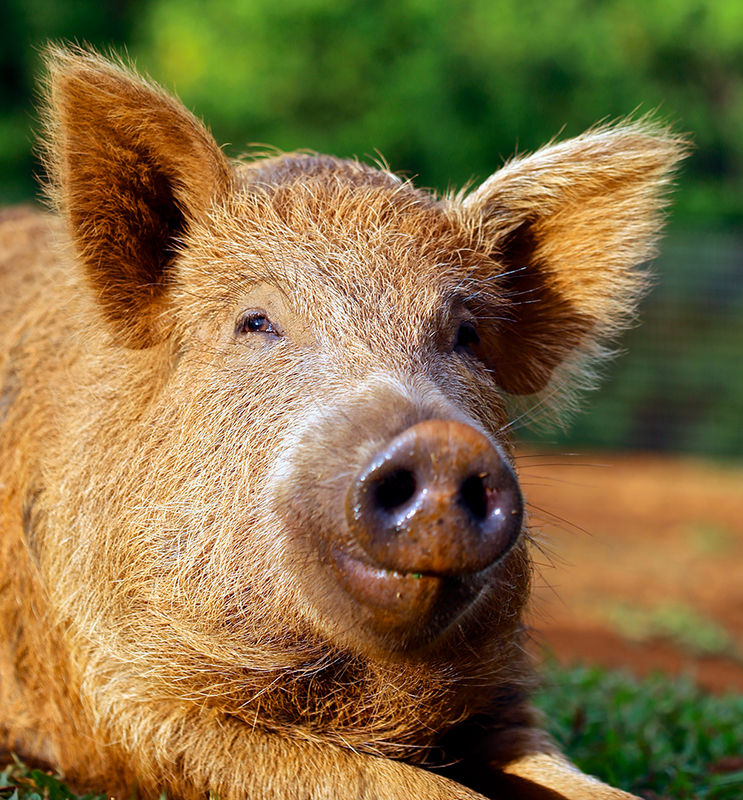 Contributions are tax-deductible and go directly toward our life-saving work at Leilani Farm Sanctuary. We are 100% volunteers. Help us provide care for a rescued animal and receive an “adoption” certificate with a picture of your sponsored animal. 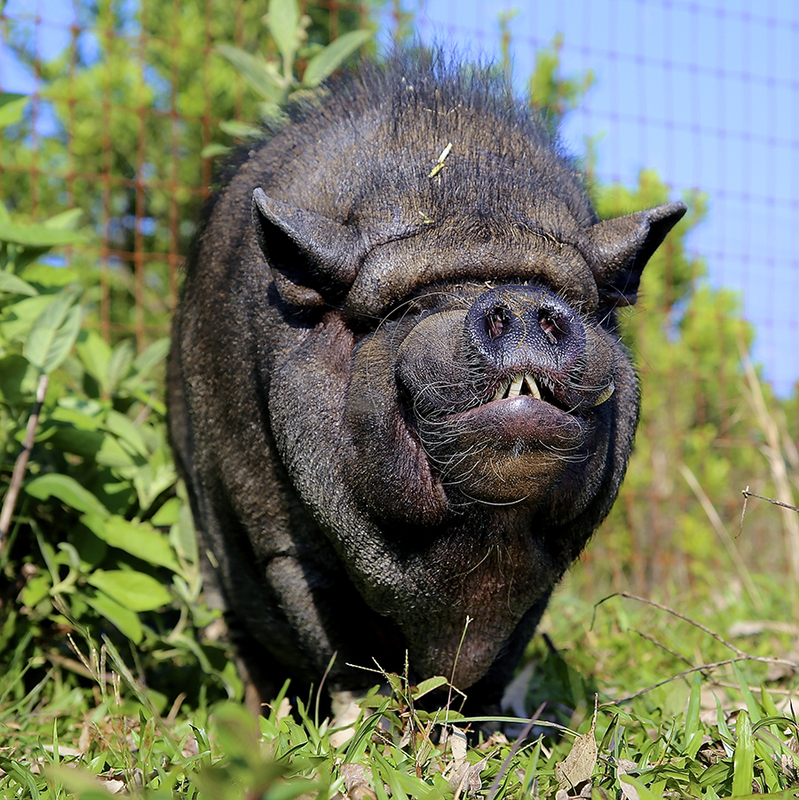 Take a tour in paradise, meet the animals, and learn their stories! Register a spot for a one hour tour on Wednesdays and Saturdays.